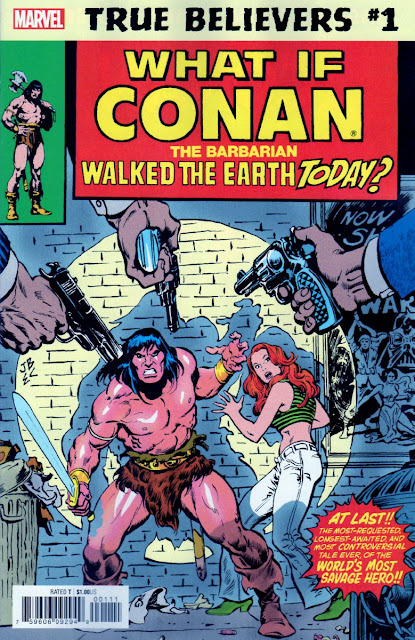 As far as I know, there are ten CONAN issues in the TRUE BELIEVERS series, which, if correct, means I now have every one. 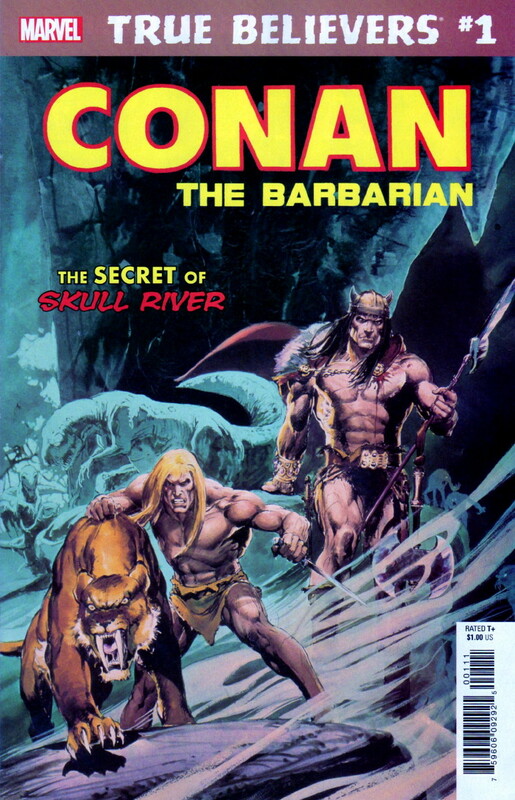 So for all Conan fans, I thought I'd show the covers in this run, counting down from the order in which I have them stored in their little clear bags. 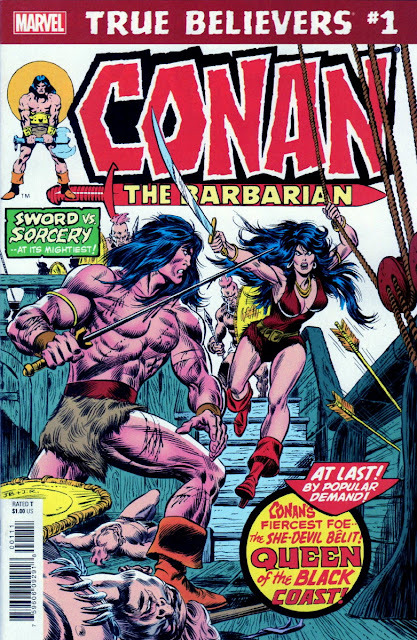 Don't they look great?! Why not buy them yourselves if you haven't already? 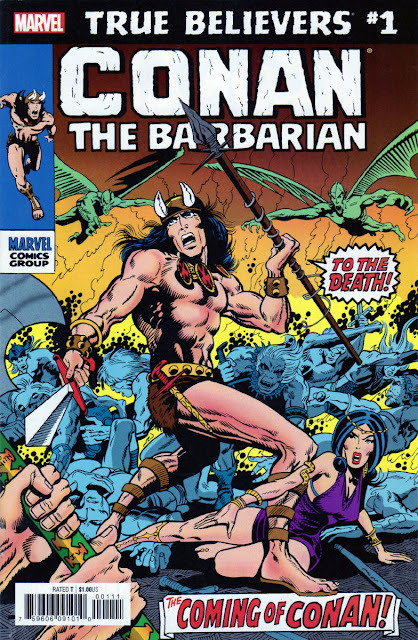 Now all I'm waiting for is my CONAN The BARBARIAN OMNIBUS edition (BARRY SMITH cover of course), which should be arriving any day now. 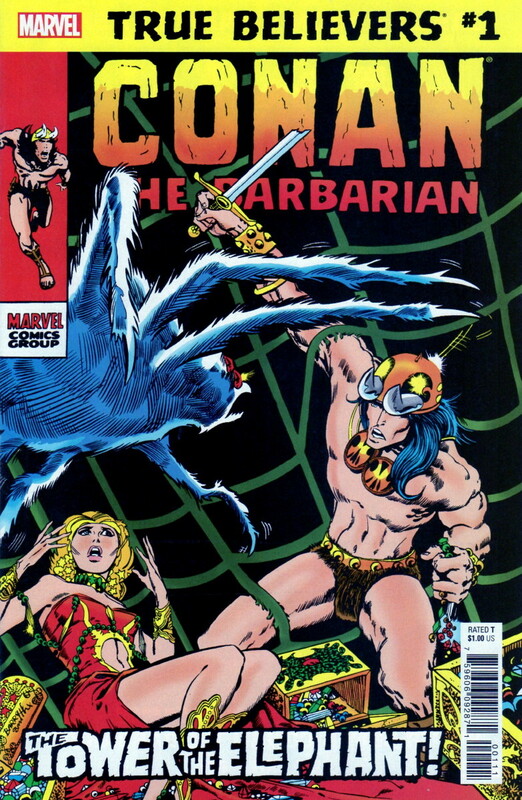 Isn't life great? 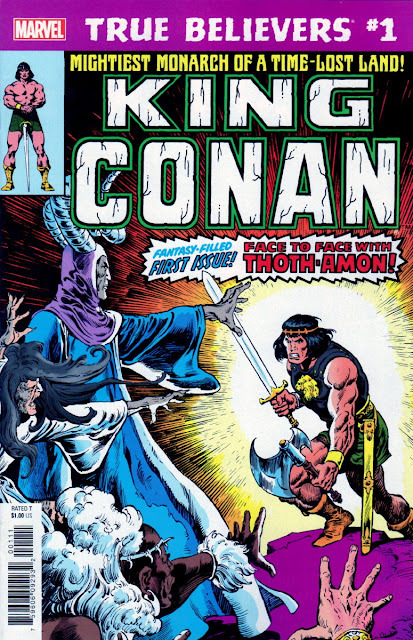 The only one of those that I originally owned was King Conan #1. 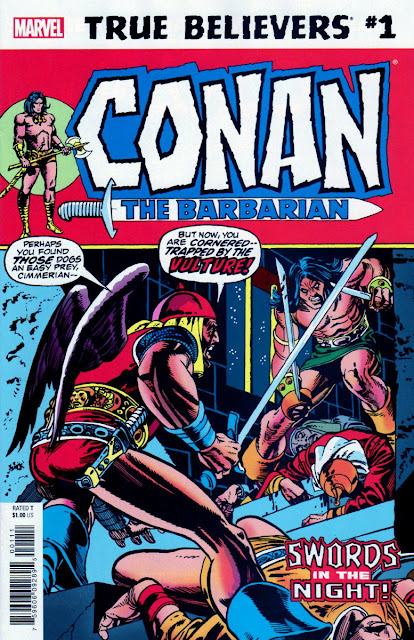 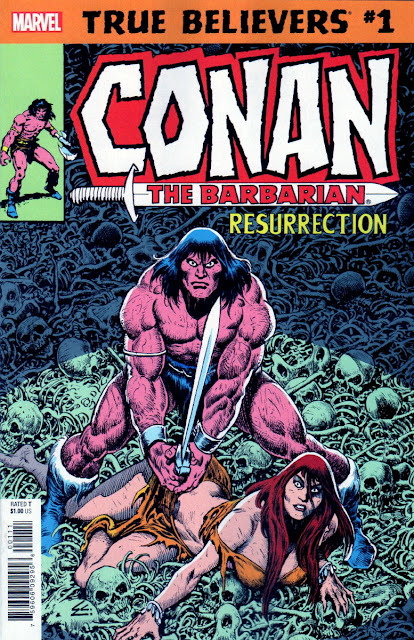 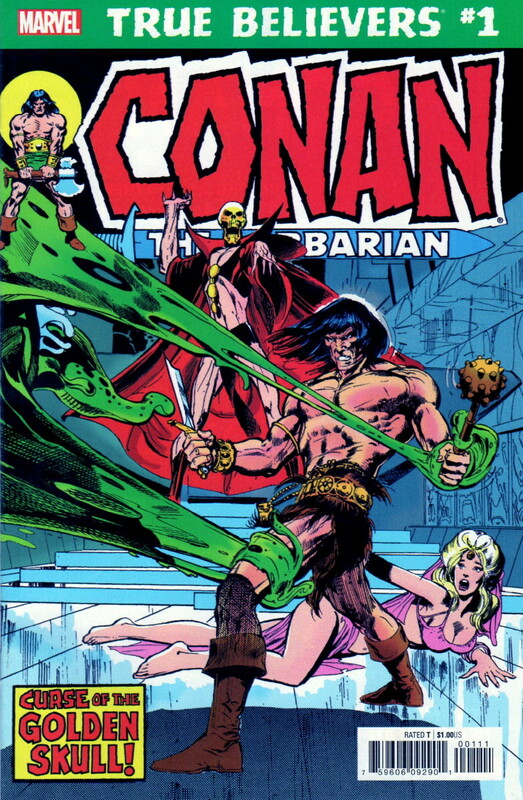 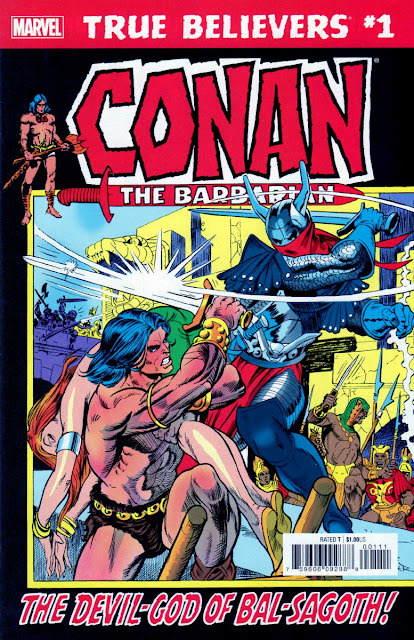 The only one that I originally owned was the Queen Of The Black Coast issue - Conan #58. I now own Conan #1, having bought it a year or two ago.